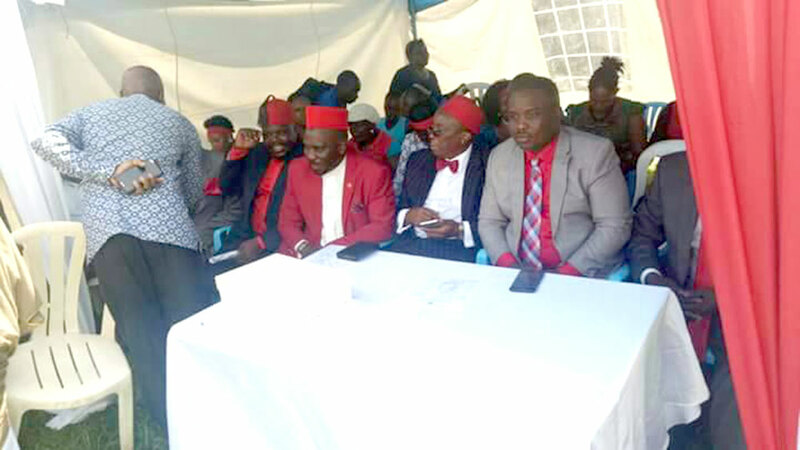 Hundreds of FDC supporters turned up at the party headquarters Najjanakumbi, to witness the swearing ceremony of the new elected party president Patrick Amuriat. While handing over the office to Amuriat, the former party leader Maj. Gen Mugisha Muntu warned him against some party members, he is going to work with. “During the campaigns, some of you have been labeling me as a mole to NRM Government. But time is the best judge,” Muntu added. 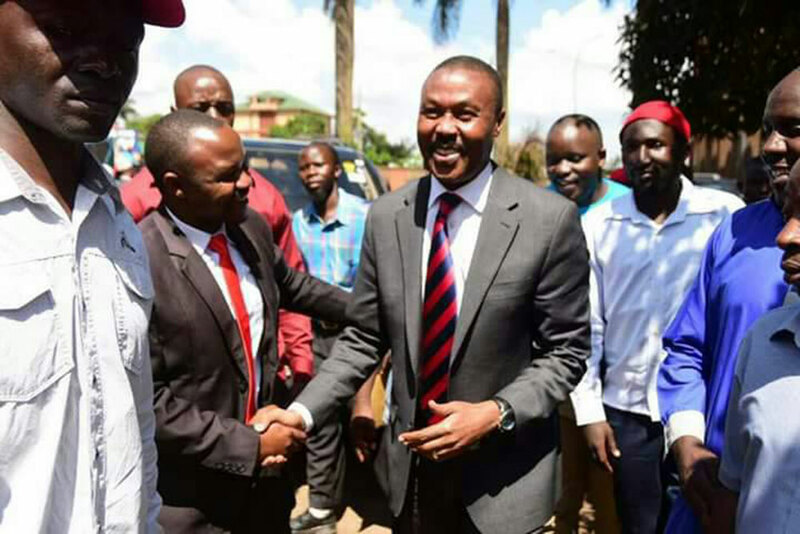 In tough speaking tone, Muntu also said even if he decides to leave FDC, he will remain very active in causing a political change in this country. “I will want to help you and even if we separate, I will want to work with you,” Muntu told Amuriat before party members. On his part, Amuriat asked Muntu and his supporters to remain in FDC, stressing that they are assets to the party. He also recognized Muntu’s contributions towards the development of the party, assuring him that the differences will be ironed out during the consultative meetings. Muntu and Amuriat have fundamental disagreement on how FDC should be managed with the later advocating for defiance campaign against NRM Government, while the former bush war hero wants the party to focus on building the party structures. Amuriat, last Friday defeated Muntu, the former party leader, Moses Byamugisha and Malcon Matsiko, the activists, in highly contested race. After he was declared a winner, he took oath, but it had had to be repeated. “The counsel who presided over the swearing-in ceremony was not a commissioner of oath. Therefore, to be safe, our president will take another oath on Thursday this week,” Harold Kaija, the party’s deputy secretary-general, said. City lawyer Ladislaus Rwakafuzi is expected to preside over the Thursday swearing-in ceremony. 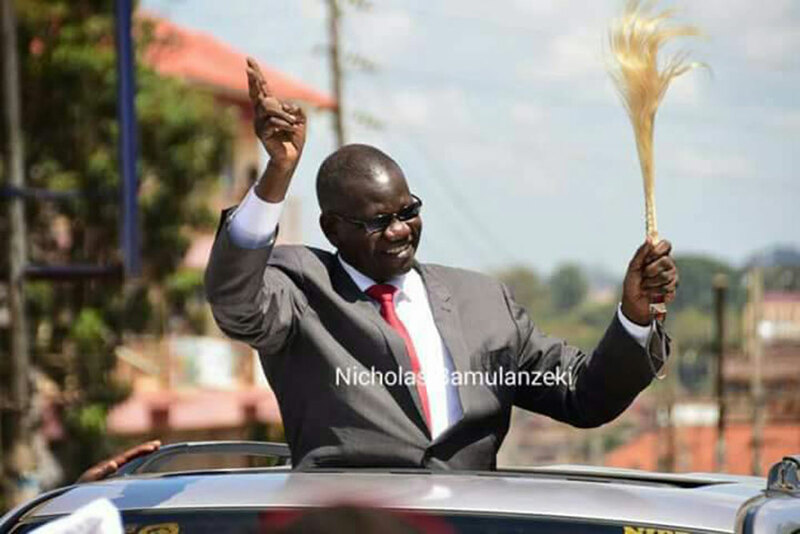 Amuriat is believed to have trounced Gen Muntu riding on the support of Dr. Kizza Besigye, the former FDC president, and other radicals in the party. Fears are rife in FDC that Muntu and some other party members are contemplating to form another party. But he assured them on Tuesday this week that he will remain very active in the party. But he will set up his office, to run activities aimed at blocking the lifting of Presidential age limit. And Muntu said he will also mobilize Ugandans to vote FDC members who are vying for LC positions. In 2012, when Muntu defeated Nandala Mafabi, the current secretary general, there were reports that he wanted to form a political party. But Mafabi refuted the reports and continued challenging the victory of Muntu. He lodged complaints to the electoral commission, complaining that Muntu camp rigged the vote.